This is another recipe taken from the book my sister gave me that is filled with family and friend's favorite dishes. Each person was sent a few pages to fill out and then return to my sister where she then assembled them into a book. This casserole is rich and tasty. It calls for canned chicken, which I rarely use, so I use fresh chicken. I recommend going the fresh route. The cheese and breadcrumbs on top create a kind of cheesy crust that I love. The recipe as written is simple and flavorful, but I think serving it over steamed rice adds a nice balance to the creamy texture of the dish. "Families are the roots of life. In a medium bowl, combine soup, mayo, lemon juice and curry powder. Spread soup mixture over chicken. 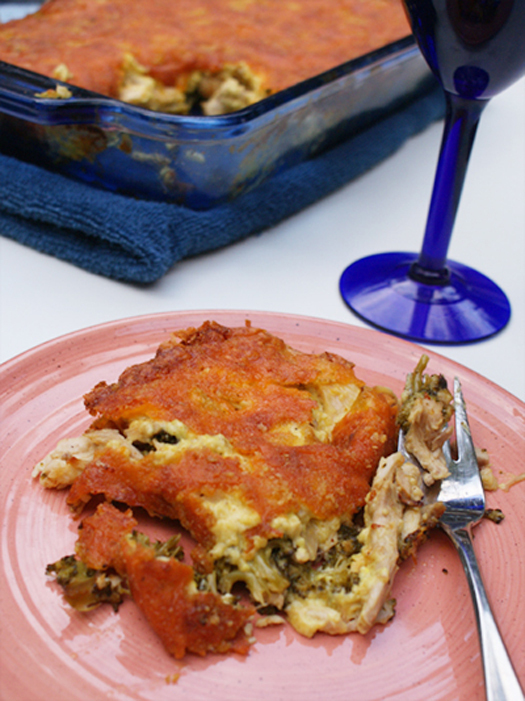 Finish by sprinkling cheese on top and adding a light coating of breadcrumbs. Bake in preheated oven for 35-40 minutes. 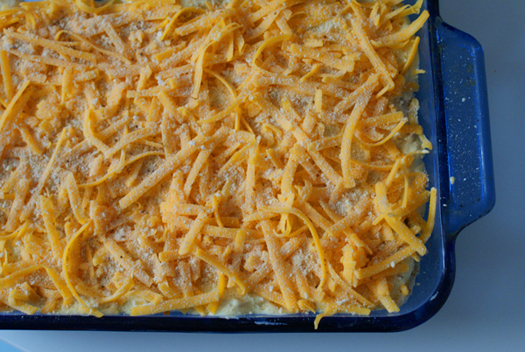 Ingredients can be doubled and cooked in a 9 x 13 baking dish.